The name of this West Highland town reveals its 17th century origins as a garrison to deter rebellion. By the late 19th century the invading forces were Victorian tourists arriving by road, rail, sea and canal and the usual hotels and other facilities emerged to serve them. Nearby Ben Nevis had an observatory and a hotel at its summit and also saw a Ford T motor car make a difficult ascent of it. 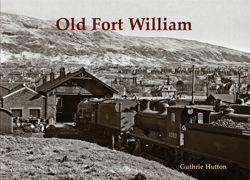 The book covers all these aspects in typical 'Old Towns' fashion using an interesting selection of period photographs and accompanied by Guthrie Hutton's usual informative text.